The Nillkin TPU Case Transparent OnePlus 6 is a simple but effective back case. Fits like a glove and leaves the original design of the OnePlus 6 visible. In addition, the USB Type C port is protected by a cover against dirt. This Nillkin TPU Case Transparent OnePlus 6 is a simple but effective back case. Fits like a glove and shows the original design of the OnePlus 6. In addition, the USB port is protected by a sealing cap against dirt, dust and other external influences. The sides are extra reinforced which offers even more protection against impacts. 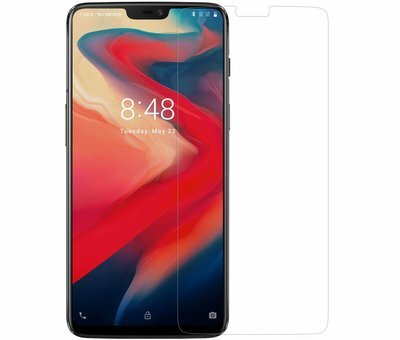 An important feature of the case is that it is completely transparent with a light finish and you do not lose anything from the design of your OnePlus 6. The Nillkin TPU Transparent Cover protects your OnePlus 6 completely all around against scratches, bumps and greasy fingers. In addition, the cover provides a better grip thanks to the stiff properties of the material. Are you looking for this case in combination with the best protection for your display? Choose below for the bundle with a 9H Glass Screen Protector for the OnePlus 6. So you leave nothing to chance!